There has been a ton of response from Sony regarding the recent jailbreaks released for their PlayStation 3 console. 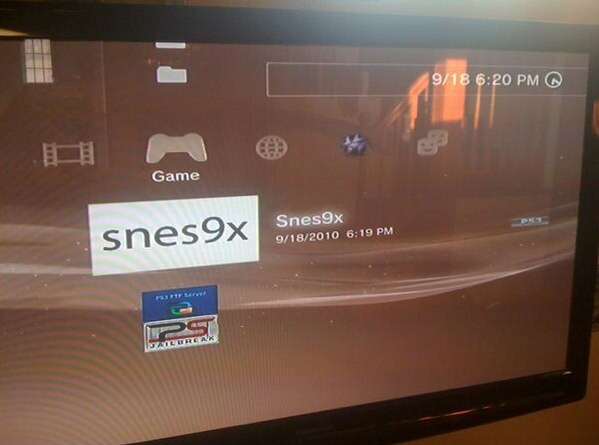 The latest homebrew hacks for jailbroken PS3’s see Dreamcast and SNES emulators ported to the device. Well know Super Nintendo emulator Snes9x has been quickly ported to the PS3, which brings the most basic of features, playing SNES roms, to the console. Still missing are some of the other features you may expect with an emulator such a UI and save states. There is also apparently a version of NullDC, a popular Sega Dreamcast emulator, ported to the PlayStation 3. Basically, sound is perfect now – so now we have full-speed (60fps) games with perfect sound and V-synced. Not a bad start – now focus on actually making this a respectable emulator port by implementing a good UI, savestate functionality, and the like. You can learn more about the SNES9x for PS3 emulator here. Learn more about the NullDC Dreamcast emulator for PS3 here.